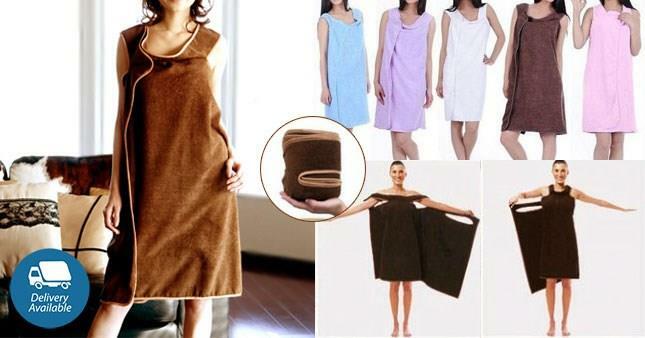 The towel you can wear in 3 seconds. With tree arm openings along the side. No velcro, no buttons, no fasteners, soft, compact, ultra absorbing. 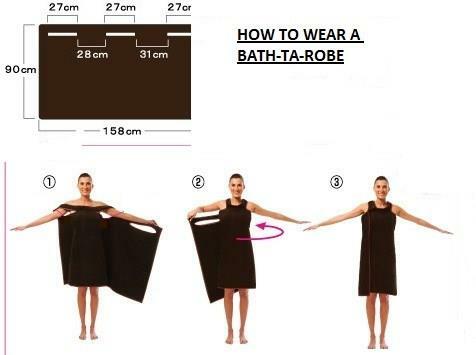 Bath Ta Robe Smart Towel is the towel you can wear in 3 seconds. With tree arm openings along the side. No velcro, no buttons, no fasteners, soft, compact, ultra absorbing. As you can see you can wear the Smartowel in two different way toga style (men) and tunic style (women).Choose you favorite style: toga style or tunic! Try the comfort of Smartowel at home, at the gym, at the pool, at beach, with a smart internal pocket. Super soft, compact, absorbs more water, dries faster,no need to iron,useful internal pocket,elegant gift box, soft microfiber terry, 88% polyester +12% polyammide,machine washable, patented product.